What is an empath? Being an empath is when you are affected by other people's energies, and have an innate ability to intuitively feel and perceive others. Your life is unconsciously influenced by others' desires, wishes, thoughts, and moods. Being an empath is much more than being highly sensitive and it's not just limited to emotions. Empaths can perceive physical sensitivities and spiritual urges, as well as just knowing the motivations and intentions of other people. You either are an empath or you aren't. It's not a trait that is learned. You are always open, so to speak, to process other people's feelings and energy, which means that you really feel, and in many cases take on the emotions of others. Empaths are often quiet achievers. They can take a while to handle a compliment for they're more inclined to point out another's positive attributes. They are highly expressive in all areas of emotional connection, and talk openly, and, at times quite frankly. They may have few problems talking about their feelings if another cares to listen (regardless of how much they listen to others). However, they can be the exact opposite: reclusive and apparently unresponsive at the best of times. They may even appear ignorant. Some are very good at “blocking out” others and that's not always a bad thing, at least for the learning empath struggling with a barrage of emotions from others, as well as their own feelings. Empaths are more inclined to pick up another's feelings and project it back without realizing its origin in the first place. Talking things out is a major factor in releasing emotions in the learning empath. Empaths can develop an even stronger degree of understanding so that they can find peace in most situations. Without a doubt, this emotional withholding can be detrimental to one's health, for the longer one's thoughts and/or emotions aren't released, the more power they build. The thoughts and/or emotions can eventually becoming explosive, if not crippling. The need to express oneself honestly is a form of healing and a choice open to all. To not do so can result in a breakdown of the person and result in mental/emotional instability or the creation of a physical ailment, illness or disease. Empaths are sensitive to TV, videos, movies, news and broadcasts. Violence or emotional dramas depicting shocking scenes of physical or emotional pain inflicted on adults, children or animals can bring an empath easily to tears. At times, they may feel physically ill or choke back the tears. Some empaths will struggle to comprehend any such cruelty, and may have grave difficulty in expressing themselves in the face of another's ignorance, closed-mindedness and obvious lack of compassion. They simply cannot justify the suffering they feel and see. Abandoning an empath in the throes of alternating moods can create detrimental effects. A simple return of empathic love–listening and caring compassionately without bias, judgment and/or condemnation–can go an incredibly long way to an empath's instant recovery. Many empaths don't understand what is occurring within them. They literally have no idea that another person's emotions are now felt, as one's own and reflected outwardly. They are confused as to how one moment all was well, and then the next, they feel so depressed, alone, etc. 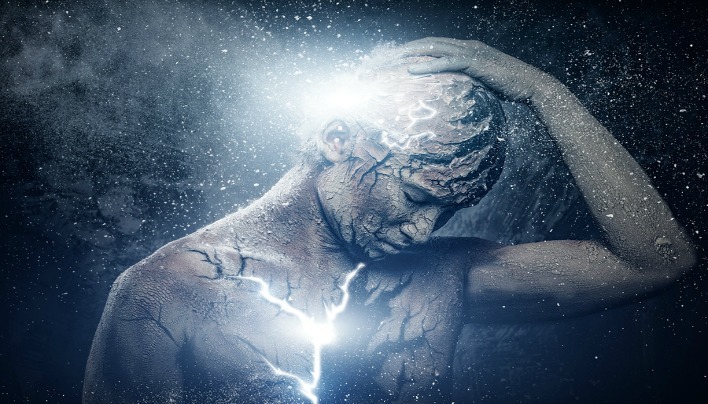 The need to understand the possibilities of empath connection is a vital part of the empaths journey for themselves and for those around them. Empaths are often problem solvers, thinkers, and studiers of many things. As far as empaths are concerned, where a problem is, so too is the answer. They often will search until they find one – if only for peace of mind. This can certainly prove beneficial for others in their relationships, in the workplace, or on the home front. Where there is a will, there is a way and the empath will find it. The empath can literally (likely without the knowledge of what's actually occurring) tap into Universal Knowledge and be receptive to guidance in solving anything they put their head and hearts into. Empaths are daydreamers with difficulty keeping focused on the mundane. If life isn't stimulating, off an empath will go into a detached state of mind. They will go somewhere, anywhere, in a thought that appears detached from the physical reality, yet is alive and active for they really are off and away. If a tutor is lecturing with little to no emotional input, empaths will not be receptive to such teaching and can (unintentionally) drift into a state of daydreaming. Empaths are most likely to have had varying paranormal experiences throughout their lives. NDE's (Near death experiences) and or OBE's (Out of body experiences) can catapult an unaware empath into the awakening period and provide the momentum for a journey of discovery. Those who get caught up in life, in society's often dictating ways, in work etc., can become lost in a mechanical way of living that provides very little meaning. All “signs of guidance” are ignored to shift out of this state of “doing”. A path to being whole again becomes evident and a search for more meaning in one's life begins. 1. Knowing: Empaths just know stuff, without being told. It's a knowing that goes way beyond intuition or gut feelings, even though that is how many would describe the knowing. The more attuned they are the stronger this gift becomes. 6. Picking up physical symptoms off another: An empath will almost always develop the ailments off another (colds, eye infections, body aches and pains) especially those they're closest to, somewhat like sympathy pains. 7. Digestive disorders and lower back problems: The solar plexus chakra is based in the centre of the abdomen and it's known as the seat of emotions. This is where empaths feel the incoming emotion of another, which can weaken the area and eventually lead to anything from stomach ulcers to IBS (too many other conditions to list here). Lower back problems can develop from being ungrounded (amongst other things) and one, who has no knowledge of them being an empath, will almost always be ungrounded. 8. Always looking out for the underdog: Anyone whose suffering, in emotional pain or being bullied draws an empath's attention and compassion. 9. Others will want to offload their problems on you, even strangers: An empath can become a dumping ground for everyone else's issues and problems, which, if they're not careful can end up as their own. 12. Drawn to healing, holistic therapies and all things metaphysical: Although many empaths would love to heal others they can end up turning away from being healers (even though they have a natural ability for it), after they've studied and qualified, because they take on too much from the one they are trying to heal. Especially if they are unaware of their empathy. Anything of a supernatural nature is of interest to empaths and they don't surprise or get shocked easily. Even at the revelation of what many others would consider unthinkable, for example, empaths would have known the world was round when others believed it was flat. 15. Need for solitude: An empath will go stir-crazy if they don't get quiet time. This is even obvious in empathic children. 17. Finds it impossible to do things they don't enjoy: As above. Feels like they are living a lie by doing so. To force an empath to do something they dislike through guilt or labelling them as idle will only serve in making them unhappy. It's for this reason many empaths get labelled as being lazy. 25. Excellent listener: An empath won't talk about themselves much unless it's to someone they really trust. They love to learn and know about others and genuinely care. 26. Intolerance to narcissism: Although kind and often very tolerant of others, empaths do not like to be around overly egotistical people, who put themselves first and refuse to consider another's feelings or points of view other than their own. 28. Will not choose to buy antiques, vintage or second-hand: Anything that's been pre-owned carries the energy of the previous owner. An empath will even prefer to have a brand new car or house (if they are in the financial situation to do so) with no residual energy. 29. Sense the energy of food: Many empaths don't like to eat meat or poultry because they can feel the vibrations of the animal (especially if the animal suffered), even if they like the taste. 30. Can appear moody, shy, aloof, disconnected: Depending on how an empath is feeling will depend on what face they show to the world. They can be prone to mood swings and if they've taken on too much negative will appear quiet and unsociable, even miserable. An empath detests having to pretend to be happy when they're sad, this only adds to their load (makes working in the service industry, when it's service with a smile, very challenging) and can make them feel like scuttling under a stone.